Even post panda and penguin updates, if done correctly, building links still offers one of the best ways to both increase exposure and increase your ranking in the SERPs. There are many methods used by webmasters in order to gain links. These include both white hat and the commonly used black hat techniques. I would recommend only using white hat methods. In short, don’t take part in strategies such as paying for links. One great white hat tactic sometimes overlooked is broken link building. Broken link building may possibly be one of the best white hat link building tactics we have seen for a long time. This tactic consists of analysing high authority websites and scanning their resources or partner pages for broken links. These links most commonly point toward similar industry pages. The end goal for this activity is to help the webmaster identify problems with their site, in turn, increasing the likelihood that they will return the favour by linking to your content. Assuming that the websites you are reaching out to are industry relevant and your website can offer them something of value, this method should prove quite effective, after all, no webmaster wants to be leading their users to a 404 page. First things first, you need to be able to find sites that could be potential link partners. It is vital in this stage that you fully understand what niche or industry your company fits best in, in order to offer the potential target sites something of value by linking back to your site. There are lots of ways to find a website worth linking to. One great way is using Google advanced operator search, especially for finding pages specific to linking to external webpages. For example, if you were searching for a cupcake company that has pages dedicated to linking out to relevant sites, you would use the “inurl:” search term. An example: “cupcake blog inurl:links”. This would then give you a list of cupcake blogs that have links to other sites. I would recommend making an excel document dedicated to all these websites and sorting them by DA. From here, you can start to look for the broken links. 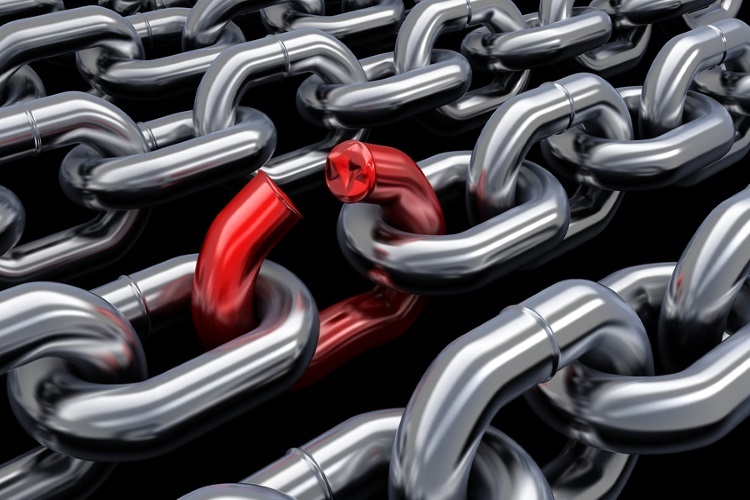 Now that you have identified a good amount of websites that could be potential link partners, it’s time to start looking for the broken links. There are many tools out there to help you find these links, no matter whether you are using Chrome, Safari or Firefox. Link Checker and Check My Links are two great plugins that allow you to instantly see where any broken links are on a webpage with just the click of a button. These tools scan the whole webpage, letting you know where every single link is; highlighting strong links in green, and broken links in red. Cognitive SEO is also a great tool to use for backlink reports. This not only identifies all of the back links for you, it also lets you filter them down using specific keywords and sort them by authority. This tool doesn’t stop there, it also lets you spy on your competitors’ link building strategies, identify the contextual relevance between the site and its link, as well as providing insights into what kind of links work best for you. The majority of websites have pretty simple to find “contact us” pages. However, in my experience, I have found that sometimes contact information is, for some reason, quite well hidden. A great tool to use to grab an email address for a site is Buzzstream. By entering a URL into their search, Buzzstream will crawl their site and extract any contact information they can find. The same Buzzstream tool can also be used for the next phase, which involves crafting a template and sending the email. When crafting your template, make sure you are personalising the content as well as keeping it short and simple. You should be offering the webmaster a favour by telling them about the broken link, as well as making the link back to your site seem useful to them. Moz have a great article regarding what makes a great outreach email. Broken link building is a win-win situation for both parties involved, consequently making it a very effective method to use to gain backlinks to your website.